What does a flourishing community look like? As we begin 2019, we ponder this question. The matriarchs and patriarchs of our Woodlawn community reminisce of the time when they were growing up here. Businesses were thriving, schools were a place of growth and providing quality education, grocery stores and restaurants were plentiful. The churches were full of neighbors and peace was more present than violence. As the years went by, however, long term effects of red-lining and prejudicial hiring practices along with the loss of stable families and the presence of gang violence began to redefine the neighborhood. Businesses closed, violence kept neighbors from socializing, schools were shuttered and neglected, homes were foreclosed. By the 90’s Woodlawn appeared to reflect little of its rich history. The true story of the community had been obscured, hidden to all but its most unflagging elders. The past few years we have been on a journey at Sunshine to discover the long-term effects that generational trauma has had on our community. We’ve seen how trauma affects the brain and the very DNA of those affected. We’ve discussed how secondary trauma of witnessing violence, family disintegration, disinvestment, and poverty can impact communities. In response, we’ve implemented strategies of trauma informed care in all our programming. This past year we’ve focused on the resilience that comes out of trauma. 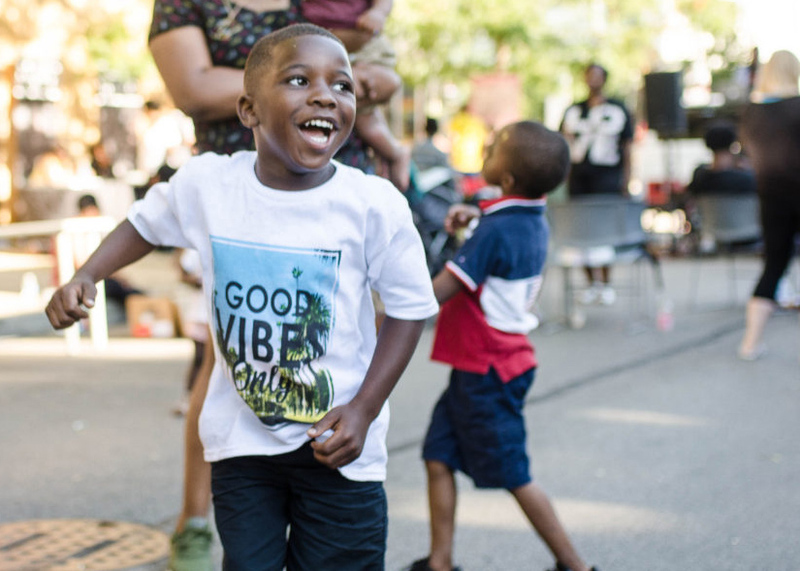 Through our Familyhood and youth programs, we’ve implemented curriculum that instills resilience and prepares children, parents, and communities to thrive. To this end, we focus ahead in 2019 to the vision that the prophet Zechariah had for Jerusalem. The book of Zechariah originated in the post-exilic context of the Jerusalem-based community in the province of Yehud. There are many similarities between this community and our southside community of Woodlawn in Chicago. (3) It was a time of hope and new vision about the future. As we move forward in 2019, we believe God’s heart is to restore Woodlawn to a vibrant and flourishing community. A community where the older generation could enjoy a higher quality of life, a livable wage would be more readily available, access to quality food would be the norm, violence would decline and peace would be ascendant. We are blessed to join with the many neighbors who work tirelessly towards this vision for Woodlawn. The task ahead is large and we have many goals for the coming year that we’re excited to share with you. Thank you for being a part of what God is doing in Woodlawn.